A significant part of the site’s heritage has been its involvement in the production of paper-based materials for almost 130 years and the site was originally developed for the manufacture of graphic papers. In the process of digging the foundations for the new buildings some notable artefacts from the factory’s history have been unearthed in the form of 16 granite mill stones. 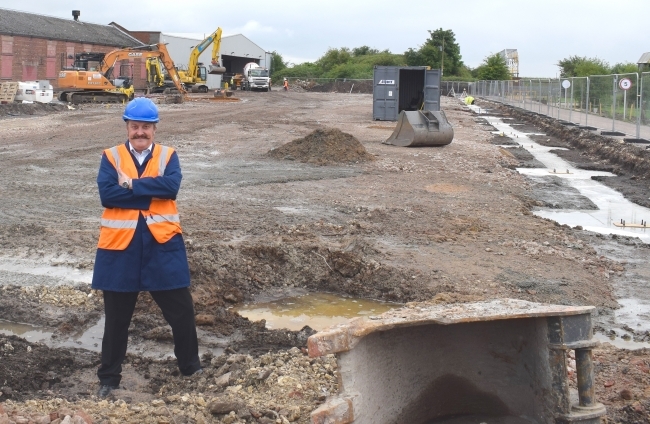 Ground was broken on the site in early June with foundations now laid and steel work on the new buildings to follow.